Who says you can’t be both a pirate and a patriot? 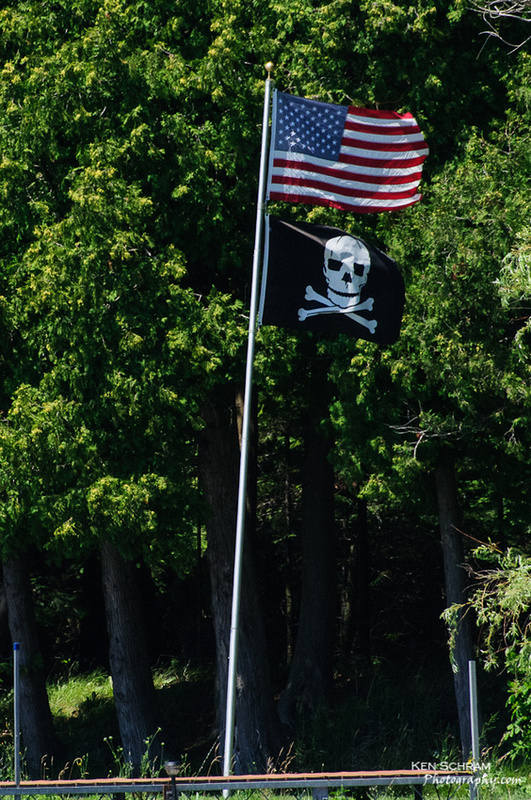 Flying high above a dock on Europe Lake in Door County, these flags and their owner prove that its possible. Have any interesting title of your own? Use the comments section below and remember to have fun.